Montgomery, Alabama / ACCESSWIRE / July 10, 2014 / Enabling customers to make informed blender buying decisions, MegaBlender.org details the complete features of the best-selling Ninja Blender. As a versatile appliance, a blender serves up variety of delicious dishes, dressings, juices, shakes, smoothies and soups in a snap. It is a common appliance that many kitchens can't be without. 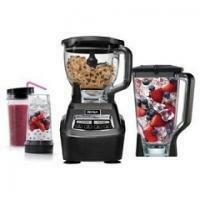 Like any other electronic household item, blenders come in different types and brands promising optimum performance. Buyers who know better, though, are aware of the fact that not all of them are created equal. MegaBlender.org, a blender review site, talks in detail about Ninja Blender, a powerful multi-function product that gets the job done. In its full review of the kitchen appliance, the website emphasizes that it is a low-cost option of rugged durability, making it one of the top-selling blenders on the market today. "Vistors of the site can click here to read the full review of the Ninja blender, the 'all in one' appliance that meets the needs of families on the go," said MegaBlender.org. "[You'll find out that] at the core of the Ninja Blender design is the want for healthy living in an age that demands you spend more and more time away from your home." Looking at the product from all angles, MegaBlender.org spotlights the full-on features of the Ninja Blender. People on the blender buying route can and find out about its effective design with its huge pitcher, a sturdy base and a set of simple, easy-to-use push button controls. The Ninja Blender is fully equipped to cut, crush, chop and liquefy fruits, vegetables, nuts, root crops and other types of food. It comes with slicing, kneading, processing and shredding attachments to do all that effectively while still being gentle enough to achieve the ideal texture and blend of food and drinks, according to the Ninja Blender review site. MegaBlender.org reveals that the Ninja Blender is also dishwasher-safe, making it a breeze not only to prepare tasty and healthy snacks, drinks or dishes, but also to disassemble, clean and keep it well maintained. To find out more about the Ninja Blender, please visit http://megablender.org/ for information. MegaBlender.org is a website dedicated to offering impartial review of Ninja Blender, a complete line of the versatile kitchen appliance for every need. The review site presents the full features of the product to help customers make the right purchasing decision.